Today was grocery day. We went to the grand re-opening of a store that is reputed to have the very best prices in town. Lots of bags, boxes, cans and bottles, but they have zero produce. 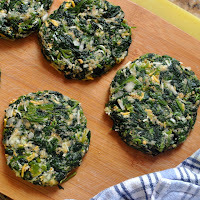 I found a recipe for spinach burgers online that I'm going to tweak to make pareve. Alas, at the second grocery store today, the place where we regularly shop, there was no frozen spinach. On the way home, we stopped at a third large grocery store and, again, no spinach. What the heck!? 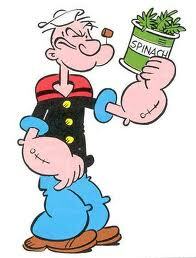 Did Popeye move to Ma'ale Adumim? 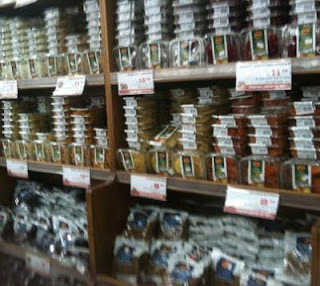 There is a smaller store, a cross between a grocery store and a makolet (mini-market), in the neighborhood we pass without really going out of our way. I actually needed zucchinis too. And the onions I forget to get at the last two stores. I found many fat zucchinis and perfectly acceptable onions at store #4. Emboldened, I went to the frozen section to look for my spinach. "?יש תרד" (Is there spinach?) I said to the guy stocking the freezer section in perfectly correct Hebrew that I had looked up on my translator app just moments before. He looked at me with those deer-in-the-headlights eyes I get whenever a clerk is explaining something to me in rapid fire Hebrew. And he says to me, "I, eeeh, don't speak English." That's okay, these gorgeous ceramic pomegranates popping up in time for Tu B'Shevat cheered me right up. 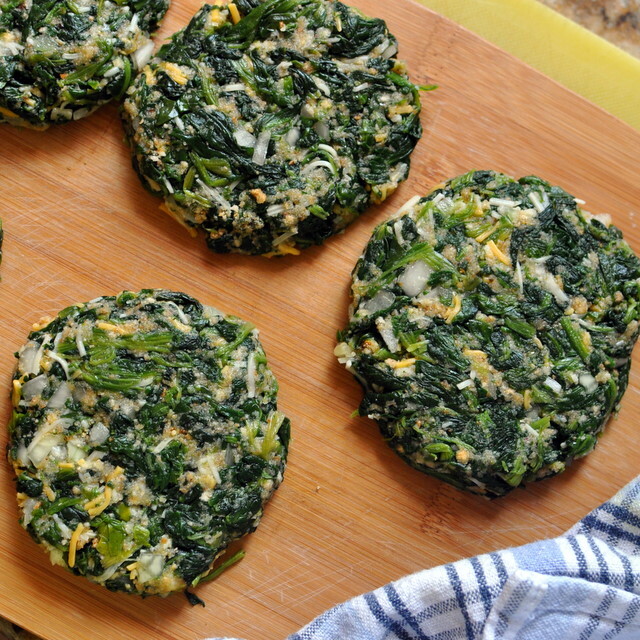 In the end, I made spinach balls instead of burgers. Vegan. And yum. These are the tools of a voter in Israel. The blue teudat zehut - my national identity card, the postcard that told me where my polling place was, and the slips of paper, each representing the two parties between which I have been tossed for the past few weeks. Last night, I dreamed that a candidate for one party told me to vote for the other party. That's how deeply uncertain I was. Today, I stood there and asked Hashem to guide my hand. Today, I voted for the 19th Israeli Knesset in the modern State of Israel. This was my first time voting in a national election as a Jew in in Jewish county. Like a lot of my fellow olim, I said Shehecheyanu- the blessing for special occasions, to express thanks to Hashem for sustaining me and getting me to the point where I can express myself by voting for the party that I think best represents my interests in the government of the State of Israel. The actual voting took less than 10 minutes, including waiting in line. I still feel a little shaky. In the end, as with all other decisions, the outcome is ultimately in Hashem's Hands. In the end, I derive great comfort from that. 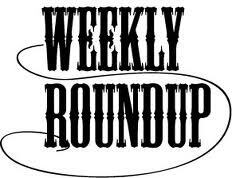 If you are a blogger and would like to submit a post or two for consideration for next week's roundup, please email Esser Agaroth and put "HH" in the subject line. If you're a Jewish blogger, please join our Facebook Group. Volunteer hosts are also being sought. All you need is a Jewish blog and about an hour of your time. Don't know if immigrants all over the world do this, but in Israel, it's very common to celebrate the anniversary of the day you make aliyah. In this post, Lauren takes a look back on previous posts on her her third aliyahversary. I'm not gonna lie. I was happy that she mentioned one of my own top posts of all time. As you might have anticipated, there were a lot of weather-related postings this week. Israel had extraordinary weather - heavy rains throughout the country that continued for days and, on Thursday, real, honest-to-goodness snow in Jerusalem and other places around the country. In this post, Susan from Aliyah on Purpose, reflects on the weather and her first aliyahversary. As far as I know, Susan is a new blogger at HH. I plucked her from obscurity because she often makes me laugh. It's worth reading her blog, called Aliyah On Purpose, on a regular basis. Not by accident, her daughter writes a blog called Aliyah by Accident. Ruti from Ki Yachol Nuchal! is planning a wedding (Mazal Tov!) so she didn't have time for a lot of words this week. Instead, she gave us one of her fabulous photo blogs, full of snow shots. Batya had a busy blogging week. She reflects on the way Israelis react to a lot of rain, the way Israelis react to a little snow, the joy of excellent customer service and why a trip between Jerusalem and Shilo will demonstrate that the Land belongs to the Jewish people. Besides weather in Israel, the upcoming national elections are on everyone's mind. Shev from they call me SHEV writes about how making aliyah changed her perspective on politics. Esser Agaroth also had politics on the brain last week, though from a, ahem... less uplifting perspective. In this post, he talks about the nasty side of Israeli politics on the far right .And here, he reflects on the recent choice of the Obama administration and what he sees as the fundamental nature of Arabs. Continuing on the darker theme of governmental threats to the Jewish people, Rafi reminds us what happened in Germany the day after Kristallnacht in 1938. Shlomo from Thinking Torah reflects on former Chief Rabbi Rav Ovadia Yosef's controversial statement that yeshiva students are better off leaving Israel rather than serving in the IDF. He also reviewed a new English translation of the Mishnah Berurah this week and suggested what English speakers should think about before they invest. Back to the joy! Living in Israel impacts all of us. Ima2seven writes about how, after learning more about them, she now views the vegetation that grows out of the Kotel stones in a spiritual way. Finally, in Sussmans b’Aretz, perhaps another new-to-you blog, Romi writes about an "Only in Israel" experience with ricocheting money. I loved her story so much, I wrote a post about the very same thing. Go ahead. Click a link. Enjoy more of the world of Jewish blogging. A friend and fellow blogger just posted a fabulous story about how she lost a pile of money in a car lease deal that went bad, only to find that Hashem restored the money to her in a most unexpected way. 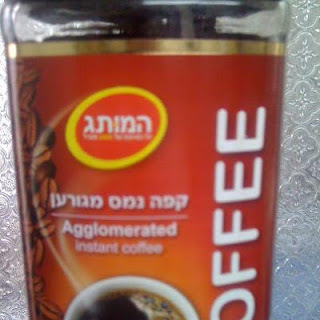 Living in Israel, I tend to be hyper aware of being under Hashem's hashgacha pratit (Divine Providence or, if you wish, His personal attention). Especially when it comes to money. 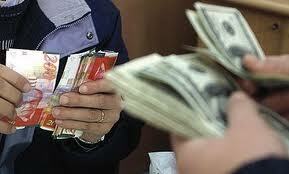 Like a lot of olim, we still have some dollars in an account in the Old Country. The particular account we have doesn't charge service fees if we maintain a certain dollar balance. Since we don't earn dollars anymore, so it can be tricky to maintain that balance. After a recent trip to America, the balance in our dollar account was threatening to drop below the minimum. And, at something like $14/month in service fees, I was trying to avoid that. But how do I move dollars into that account when I don't earn dollars? Just then, I got a message from a friend and former neighbor asking if she could electronically transfer me a dollar amount, exactly equivalent to the amount I needed to add to our US bank account, in exchange for the equivalent in shekels. Thanks to the wonders of electronic banking, the whole thing was resolved in a few hours. And it just so happened that she and I were going to be at the same place in Jerusalem that very evening so I could give her the cash. There have been two other recent occasions when we encountered unanticipated expenses. And money just so happened to show up unexpectedly. If your eyes are open, if your soul is open, you can feel Hashem taking care of you. I'm sure it happens elsewhere too. It's just more obvious here. Please comment if you have a similar story to share. I get a lot of feedback from readers who especially like the photo blogs I do occasionally. Most of these pictures already appeared on my Facebook wall, but for those of you who haven't seen them, here are some images of holidays in Israel, some awkward attempts at English translation and one sign that represents a harsh reality. 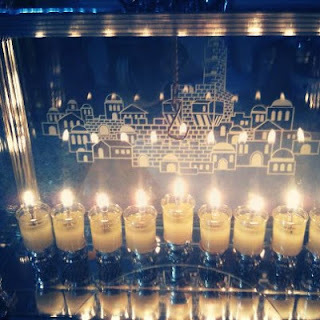 These gel Chanukah candles are lit inside a glass box with the etched Jerusalem scene. 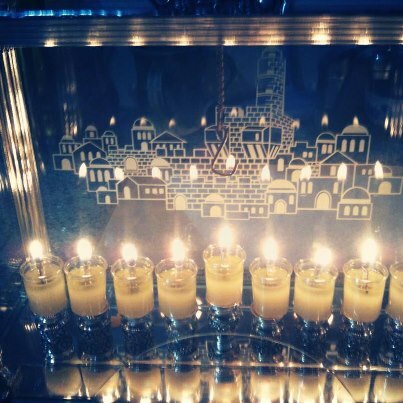 When they are all lit, as in this photo, on the last night of Chanukah, the image is peaceful and serene. You know Tu B'Shvat is coming when the dried fruit, packaged or fresh mounds, begin to be displayed. 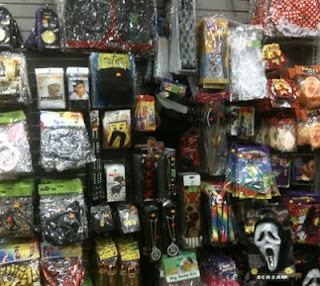 Instead of Easter, Halloween and Christmas, we see Jewish holidays promoted at the entrance to grocery stores here. Awkward attempts to translate product instructions into English are an endless source of amusement. This particular language is for a feminine hygiene product. My husband took this photo of a funny product on a grocery store shelf. What is Agglomerated? Turns out to be a real English word meaning "to form or collect into a rounded mass." Not sure what it adds to the description "instant coffee", but some have suggested that Brits use the term agglomerated. Sadly, this sign, seen often in Yehuda and Shomron, is a reality in our complex little country. At least until Moshiach announces himself.